The New Wolsey is ready for February! As the Red Riding Hood Rock ‘n’ Roll Pantomime comes to an end, The New Wolsey are getting excited for their February productions. Their Spring 2018 season starts with a bold new take on the Mozart classic The Magic Flute, presented by OperaUpClose. Invited behind the velvet rope at London’s most exclusive club, Tamino doesn’t have time to stop for beggars, paparazzi, or even his girlfriend Pamina. Going to bed after a blazing row later that night, this ordinary couple relive the events and encounters of the evening in dreams made extraordinary by the lateness of the hour, their befuddled senses, and yes, a touch of magic. The New Wolsey Theatre and fingersmiths co-produce John Godber’s award-winning comedy Up ‘n’ Under from Wed 7 Feb to Sat 10 Feb. It will delight audiences, bringing together fingersmiths’ visual and physical storytelling with a cast of Deaf and hearing actors using British Sign Language and spoken English. From Tue 20 to Thu 22 Feb, backed by a brilliant band, Olivier Award-nominated actress Josette Bushell-Mingo mixes story and song in Nina – A Story About Me and Nina Simone. She will draw together tales from the life of Nina Simone and her own extraordinary career, touching upon the 1960’s civil rights movement, and drawing into parallel the struggles of the civil rights movement today. 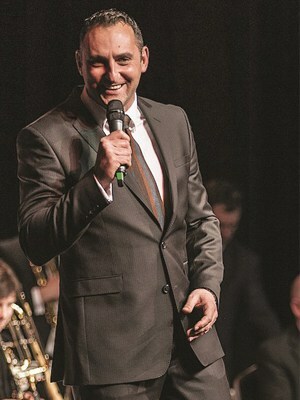 Have a musical February with A Salute to Sinatra and the Swing Legends, with award winning singer Matthew Ford, the classical gypsy-folk romp stand-up comedy Graffiti Classics, and amazing new musical experience Judy & Liza. Get the kids involved during February Half Term with Daryl Barton’s A Square World; M6 Theatre with Mike Kenny’s A Tiger’s Tale; a new version of Snow White with Mirror, Mirror; an interactive performance with Little Howard’s Big Show for Kids, and Oliver Jeffer’s award-winning picture book live on stage Lost & Found. PULSE Presents, the New Wolsey Theatre’s continuing work to develop new contemporary theatre outside of the PULSE Festival will continue this Spring prior to the PULSE Festival itself. The PULSE Presents line-up includes: Townsend Productions with We Are The Lions, Mr Manager; back by popular demand The Pretend Men with Police Cops In Space; Ragged Edge Productions present The Chef Show, and Gein’s Family Giftshop bring their dark humour to Ipswich. From Mon 26 Feb to Sat 3 March, Paul Nicholas (The Real Marigold Hotel, Just Good Friends, EastEnders) Wendi Peters (Coronation Street, Oh What A Lovely War), Sue Holderness (Only Fools and Horses, The Green Green Grass) and Jeff Rawle (Harry Potter and the Goblet of Fire, Drop the Dead Donkey) star in a brand-new revival of the bitter-sweet comedy Quartet by Oscar-winning writer Sir Ronald Harwood and directed by the New Wolsey Theatre’s Artistic Director Peter Rowe. 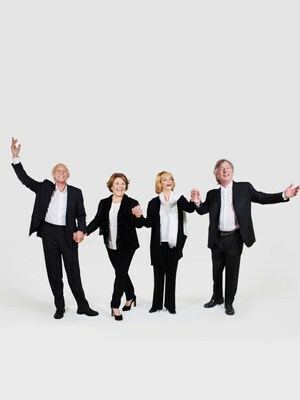 Quartet is the charming tale of four ageing opera singers. Cecily, Reggie and Wilfred reside in a magnificent retirement home in Kent, where the rumour circling the halls is that the home will soon play host to a new resident, and word is it’s a star. When Jean arrives old rivalries resurface, secrets are revealed and chaos unfolds, but in true theatrical tradition – the show must go on. A celebration of the twilight years and the hilarity of growing old disgracefully! Visit the New Wolsey website to see a full list of their upcoming shows for February and later this year.